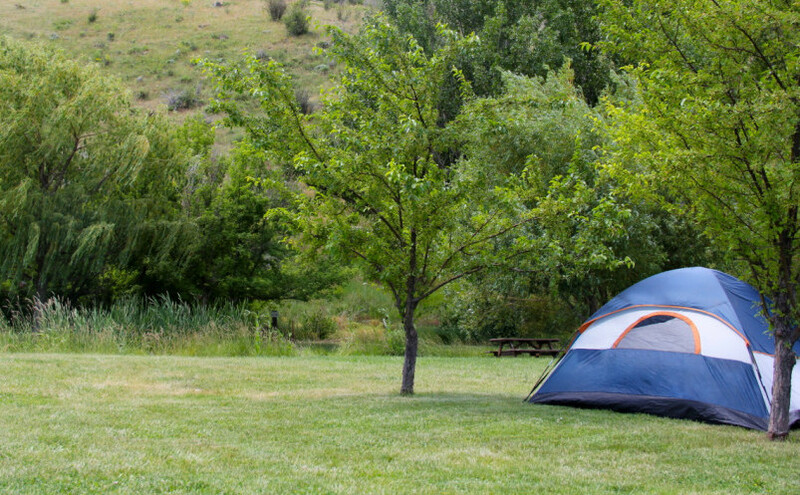 Grande Hot Springs RV Resort | Grande Hot Springs Resort is the place to stay in the scenic Grande Rhonde Valley of northeast Oregon. We’re situated 8 miles south of downtown La Grande. Welcome to Grande Hot Springs RV Resort! Grande Hot Springs Resort is the place to stay in the scenic Grande Rhonde Valley of northeast Oregon. We're situated 8 miles south of downtown La Grande. Our facilities will impress you, with 100 grassy, pull-thru sites, 30 & 50 amp service, tent sites, sparkling clean resort-style restrooms and much more. The perfect stop on your vacation! Grande Hot Springs Resort is the perfect destination for all types of travelers and offers offers you clean and comfortable RV and tent site accommodations. Our Warm Soaking Pool & Hot Soaking Pool are available to all registered guests (which is open seasonally May to September, and sometimes longer/call for availability). Both pools will be closed November 1, 2018 to May 1, 2019 We have two Yurts with private soaking tubs, available year-round. 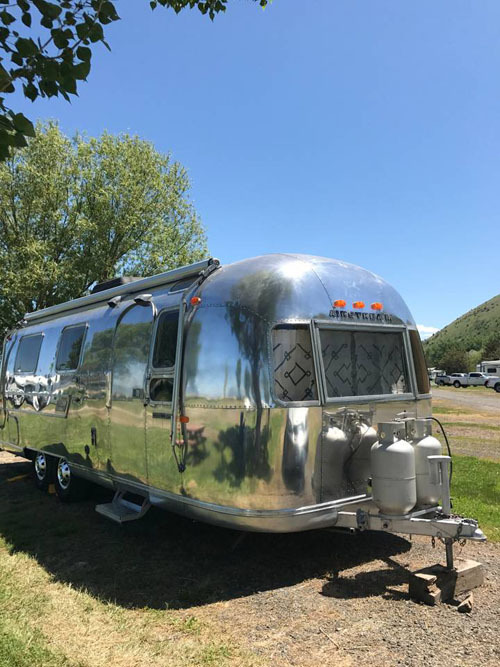 We also have a vintage Airstream Trailer available for over-night stays during the summer months. Conveniently located beside historic Hot Lake Springs as well as on the Oregon Trail, the park is only a short drive from downtown La Grande and Union. Open year-round, it is also a great place to be if your desire is to explore Anthony Lakes or the Eagle Cap Wilderness Area of Wallowa County. Stay here once and you will always remember Grande Hot Springs Resort as your home-away-from-home in La Grande. 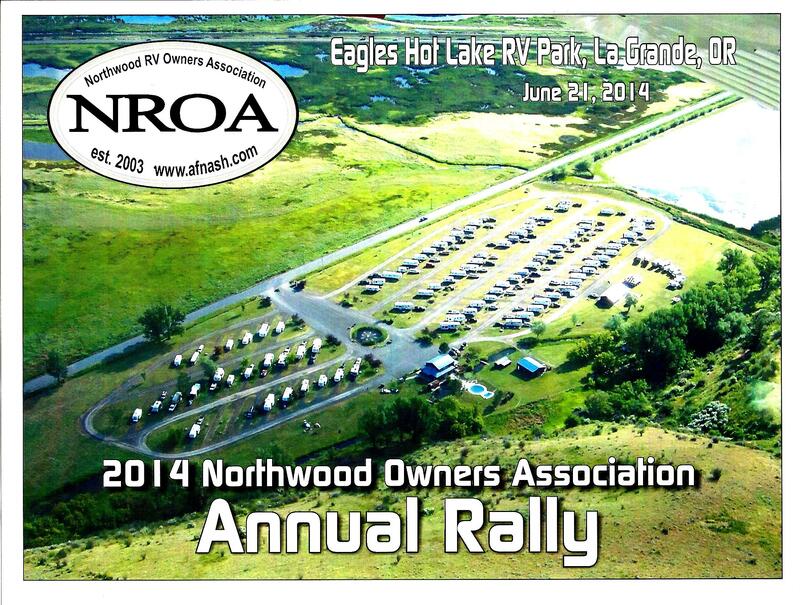 Tent sites include use of the pool, spa, bathrooms, showers, and wifi access. Our fully outfitted Oregon-made 16′ Yurts are a great lodging option. Your stay includes: bedding, towels, coffee, a fridge, heat & AC, private hot springs soaking, and full access to resort amenities. 90 foot long pull through sites with 50amp(220v) electrical service, water, & sewer. 90 foot long pull through sites with 30amp(110v) electrical service, water, & sewer. This vintage Airstream is be available for overnight lodging with accommodations for 2 people. Featuring upgraded electric heat, new air conditioning, and 2 flat panel smart tv’s, this is a great way to stay in the La Grande area! 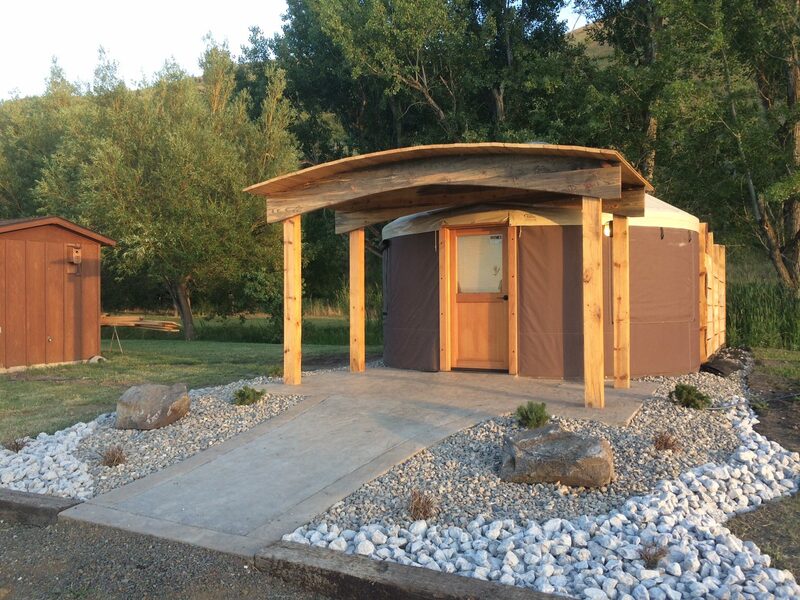 The Yurt at Grande Hot Springs – Now Available! We have 2 yurts available for reservations. The only way to book the yurt is through Airbnb. Click here to book the yurt! Anthony Lakes Ski Resort is Open! 2016 Ratings are in and once again the resort scored very well. With just a little more work, we could be one of the top 100 Good Sam Resorts in the USA!